Life Alert is a medical emergency response system that dispatches help to seniors in the event of fire, poisoning or medical emergency. Like other emergency response providers, Life Alert helps elders live independent lives so retirement homes do not have to be the only option for elders who do not require constant care. Life Alert is an emergency response system, also known as a Personal Emergency Response System, or PERS. The emergency response system helps seniors and the disabled call for help in the event of an emergency by pushing a button on a body-worn gadget, such as wrist wrap or necklace pendant. The button activates an emergency console in the home that connects to a call center, where a representative speaks to the resident through the console and sends the appropriate help. Medicare pays for emergency medical services, minus any co-pay or deductible, if it applies to your plan. Life Alert is one of many companies that provide emergency response systems that help seniors and the disabled live independently, particularly the residents living alone, or the home-bound who live with others and do not have full-time care from the family or from a caregiver service. Some providers of response system services also cater to residents with nonemergency needs. Life Alert, among other providers, encourages independent living so seniors do not have to enter a nursing home or require full-time caregiving services, which are two expenses that Medicare covers. Some providers of response system services also cater to residents with nonemergency needs. Medical Emergency Response Systems (MERS) or Personal Emergency Response Systems (PERS) both offer medical or fire emergency services, but PERS caters to nonemergency calls as well. Medicare will not ever cover a PERS device or service, and it does not cover a MERS device or service as of 2009, but changes in Medicare coverage and services occur every year. 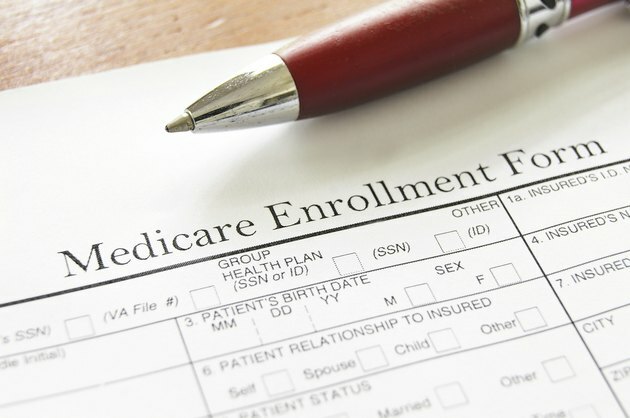 Medicare has several types of insurance plans to meet the needs of the elderly and disabled. Medicare offers health insurance to seniors for a nominal monthly fee, or premium. If seniors want more coverage and flexibility, Medicare Advantage Plans, offered by private insurance companies, may cover some costs for medical equipment and services that Medicare does not cover, but beneficiaries under a Medicare Advantage Plan must pay an additional monthly premium on top of the standard Medicare premium. Medicare does not pay for Life Alert or any other emergency response service. Therefore, Medicare Advantage Plans are not required to cover emergency response systems and services, but a few companies may offer some type of assistance for purchasing a device if a beneficiary needs one. If a plan does offer some type of assistance, a doctor or other health care professional must submit a medically necessary authorization form for review and approval by the insurance company. The assistance, if any, is for the emergency response device, not the emergency response service. Together, the device and service combined is the emergency response system. Many hospitals and social service agencies provide emergency response systems for seniors who qualify. Low-income seniors may qualify for Life Alert or another response system subcontracted through the state. Medicaid usually does not cover emergency or personal response systems, but each state may have funding available for some seniors through state and local agencies, such as the Department of Social Services and the Department of Aging. Funding for programs varies from state to state. Each agency determines which services are available to help seniors and the disabled and who qualifies for those services. Other sources of help that come from community-based services may provide some assistance. In most situations, whether on any type of Medicare plan, state-subsidized plan or personal insurance plan, expect to pay a monthly fee for the response service since most government and private insurance plans do not pay for the monthly service fees for the system. As of 2009, most emergency or personal response systems cost from $19.95 to $39.95 a month and a $49 one-time activation or installation fee. Rest assured, Medicare pays for the ambulance service in the event of an emergency. However, Medicare does not pay for ambullete services, which are ambulance services that transport convalescent or disabled persons for nonemergency needs.